Accountancy, like most other verticals in the digital age, is in the jaws of a revolution powered by Artificial Intelligence (AI). Across the board, the application of intelligent systems is redefining the way we work and forcing us to re-programme how we conduct our business. As Eli Fathi, CEO, MindBridge Analytics Inc, explains, it’s an opportunity to be grabbed. Yet the global narrative that often accompanies AI is ominous. According to the doom merchants, we should all be very afraid; ‘the robots are coming’ and they’re poised to take our jobs, our future and what’s left of our self-esteem. The reality is very different. AI is not a futuristic vision for accountancy – in proactive firms it’s already here. And where it’s being deployed, it’s helping to drive efficiency, reduce risk and increase quality. Moreover, its advantages aren’t being realised at the expense of humans but rather in support of them – empowering and liberating accountants to focus on delivering added value for clients whilst leaving the number-crunching to computer-sized brains. The most progressive practices, large and small, are taking a collaborative approach that combines human and artificial intelligence; co-bots not robots. In the process, they’re developing a point of differentiation that marks them out from the crowd. It’s a smart strategy. AI has the potential to transform accountancy, not least in the crucial area of audit. It’s time to do the maths. AI is relatively nascent amongst accounting firms. However, the pace of adoption is accelerating as practices increasingly recognise how intelligent systems can help enhance decision-making, improve accuracy and de-risk processes. Yet despite the great potential of AI, there remains widespread caution in some parts of the market. It’s a caution that’s driven by myth, misunderstanding and misconception. Each is an unnecessary barrier to the progress all companies need to make if they’re to compete in the modern marketplace. The myth is easily dispelled: robots will not replace humans, the two will co-exist. Why? Because AI systems do not have the higher cognitive capabilities exhibited by humans. In the same way that the human brain cannot compute hundreds of thousands of data points in a split second, a machine cannot understand the subtle dynamics and context of real-world accounting. The value and judgement of the trained accountant is inimitable. In combination, however, an accountant fuelled by AI-powered data analytics is turbo-charged to make faster, smarter and more accurate decisions. Everyone wins. Many of the perceived complexities of adopting AI are rooted in misunderstanding. It’s hardly a surprise; the vernacular can be intimidating. 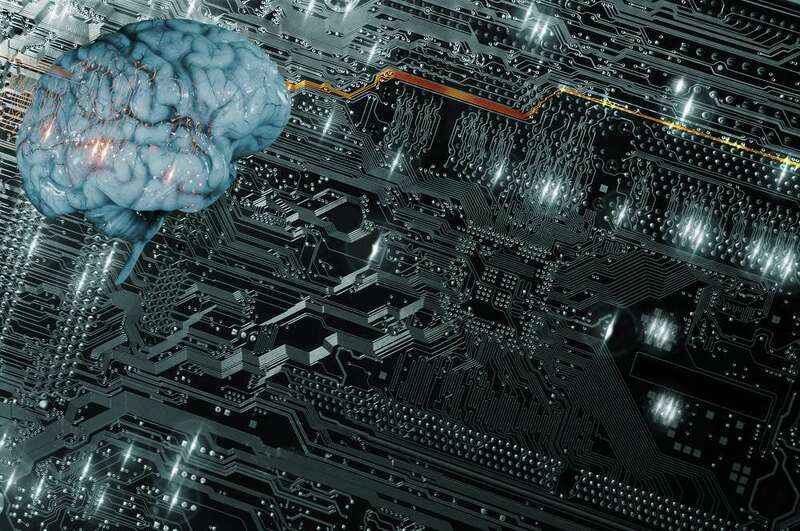 AI is a broad church that encompasses a wide variety of technology classes such as machine learning, natural language programming, cognitive computing and automation. The danger is that all this terminology becomes conflated and confusion reigns supreme. To progress, we need to demystify the topic and break it down into simple, relatable and understandable terms. Defined simply, AI is a computer system that’s programmed to perform tasks – and exhibit levels of intelligence – commonly associated with humans, at scale and with an unparalleled level of detail. It augments human capability – it doesn’t replace it. These attributes translate hugely to compliance work. As we know, the responsibility of an auditor is to ensure that the books being audited are an accurate representation of the business and free from material irregularities. Since it’s neither practical nor feasible for humans to examine every transaction, compliance work has traditionally been carried out manually, with auditors reviewing snapshots of transactions and making assumptions based on what they find. It’s a probability-based model that’s inherently flawed; evaluations often don’t find issues, they find an ‘absence of issues’ which auditors consider sufficient to approve full accounts on the balance of probability. That risk is no longer necessary. Effective and accessible solutions now exist that harness the power of AI to remove the reliance on sampling. AI tools can quickly and accurately look at every transaction and focus an auditor’s attention on the areas where potential issues might be. These tools have deep data mining capabilities that allow them to analyse huge data sets at record speed. And the more data they process, the more they learn. By monitoring for anomalous patterns of activity whilst continually learning the norm, AI audit tools can uncover material irregularities in data that result from human error or intent – and flag them for human review. The approach eradicates the risk of random sampling. The quality and efficiency gains are significant. Firms are now able to identify complex and non-linear patterns in large data sets in real time at scale. Moreover, by removing mundane and onerous tasks from their workload, auditors are freed to focus on providing greater value for clients. By leveraging AI-driven insights, auditors can enhance dialogue with customers through a deeper, shared understanding of their data and its strategic implications. That can only improve quality. However, in parts of the market, adoption remains hamstrung by misconceptions that AI tools are costly, complex and difficult to implement. The fears are misplaced. The most effective solutions are affordable and accessible. They’re designed to demystify AI and make them intuitive to use. And they’re supported by ongoing training that removes the perceived headaches of implementation and user adoption. Moreover, as regulators take an increasingly tough stance on audit failures, AI solutions are a long-term investment that can reduce risk, increase efficiencies and improve the quality and accuracy of audit. The associated impact on client engagement and long-term client loyalty is significant. These are huge gains.